Pinterest is probably the greatest digital scrapbook ever created. Essentially a collection of images linked to websites, Pinterest is a one-stop way to connect to whatever your interests may be. 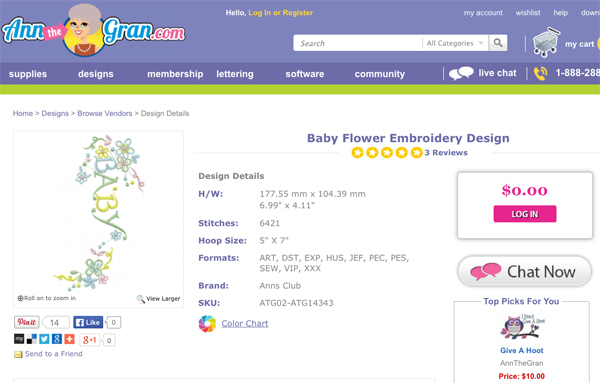 With more then 25 billion pins, the site is a treasure trove of ideas, but for the purpose of this blog we'll focus on embroidery. Throughout the AnntheGran site, you will find Pinterest buttons. Clicking on these buttons allow you to pin links to designs, products, and tutorials to your Pinterest account where you can arrange and access them at your leisure. The only downfall, it's addictive! You can sign up at Pinterest.com using your existing Facebook or email account. 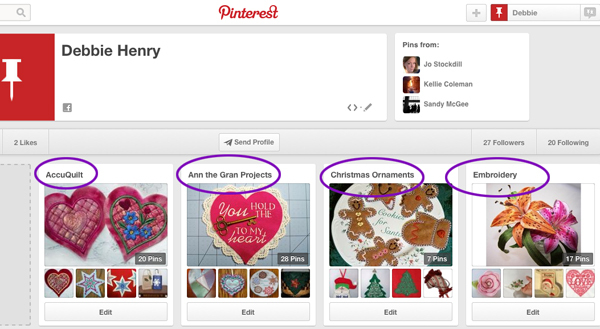 When you create an account, you can pin anything you find using the Pinterest or Pin It! buttons so prevalent online. Once signed in, click on Your Profile & Pins on the drop-down menu. Boards are groups of pins in categories of your choosing. On my Pinterest page, I created boards for AccuQuilt, Ann the Gran Projects, Christmas Ornaments, Embroidery, and more. 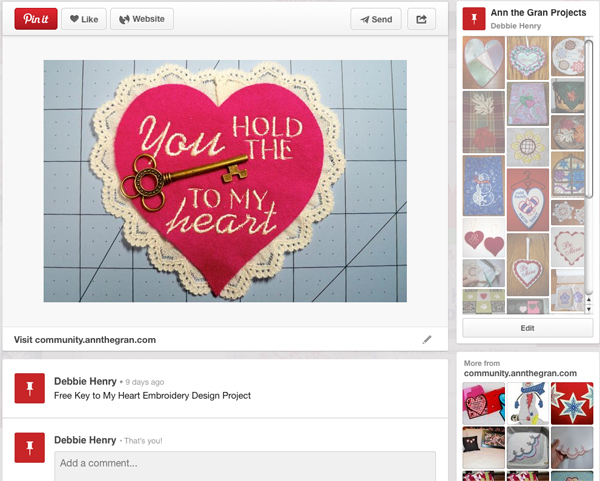 By clicking on the Key to My Heart project at the bottom of the board, the project image and link come up. Click on the photo, and it takes you to the tutorial on my Sew Easy blog. 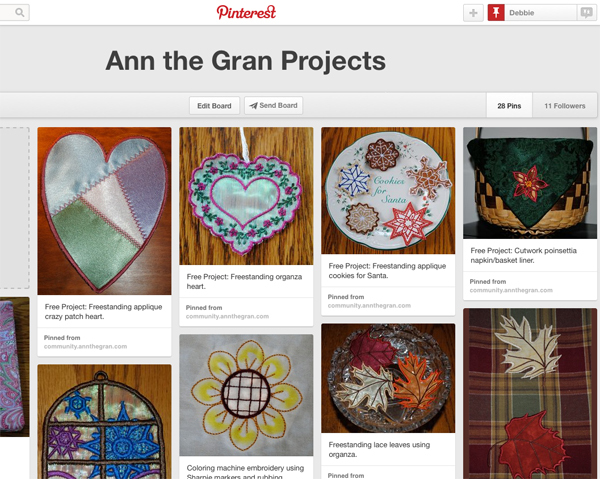 You can pin all of your favorite Ann the Gran blogs. The same is true with designs. Both designs and blogs can be pinned directly from the Ann the Gran site or they can be pinned from searching or browsing on Pinterest. The search function works much like Google. Searching annthegran.com yields the following pins. Different results show when using Ann the Gran or annthegran in the search field. 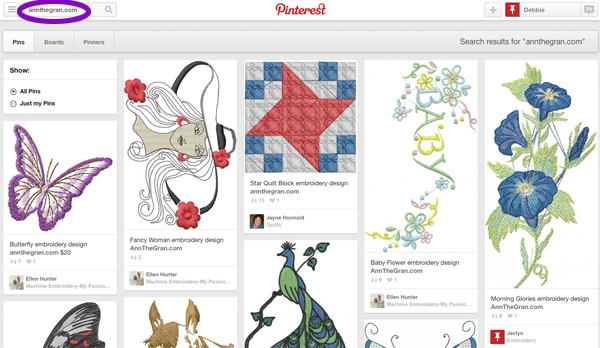 Searching Pinterest shows designs you may not have even seen on the site, like the Baby design above. Click on it and it goes to the person who linked it. 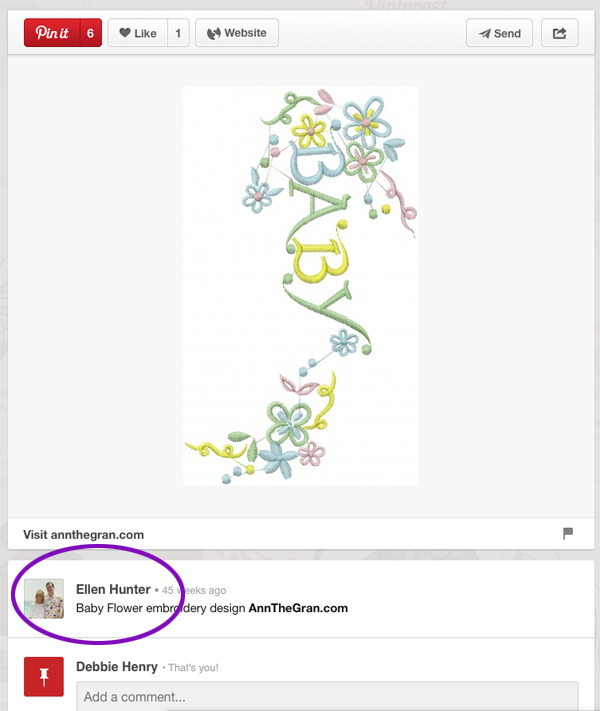 Ellen Hunter, who pinned this design, has many other Ann the Gran designs pinned, so you may want to follow her to keep up on her design choices. Click on the image and the link takes you to the site where it is housed. Bonus- it's a free one! You can use Pinterest as your own personal design organizer, wish list, tutorial center, and inspiration source. It's certain to keep things Pinteresting!